Paul left Athens and went to Corinth. Silas and Timothy finally arrived to join him there. Paul was preaching to the Jews that Jesus was the Christ, but they did not believe him, and they began to abuse him and treat him badly. After a time he told them if they didn't want to accept his teaching, then he would go and teach the Gentiles. 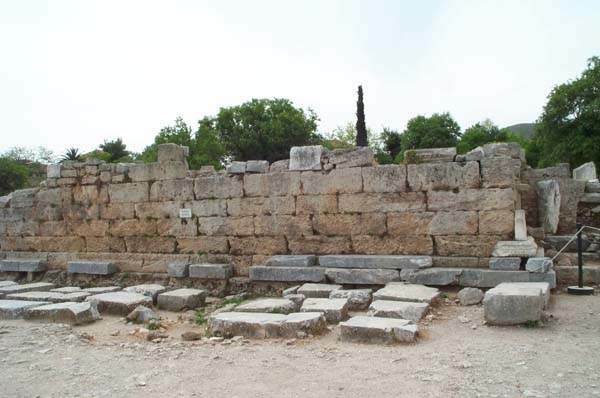 These were the non-Jewish people of Corinth. That's what he did. He preached the good news to the Gentiles and many of them believed and were baptized. One night he had a vision, and the Lord spoke to him. He told him to stay in Corinth and continue preaching there. Paul would be able to convert a lot of people in the city. He stayed there for a year and a half. 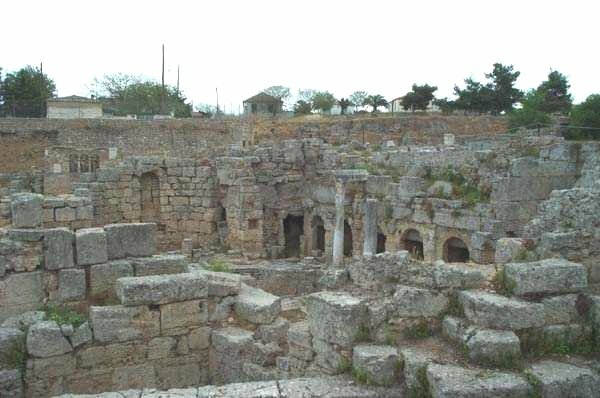 Corinth was a very wicked city and the people were immoral, but those with receptive hearts turned from their wicked ways and became the kind of people God intended for them to be. 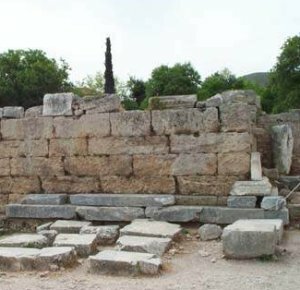 If you visit Corinth today you will see the ruins of some of the ancient buildings there. 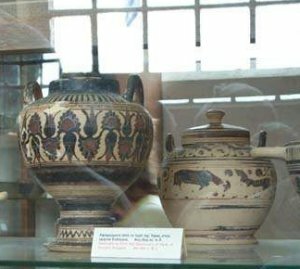 In the museum you can see pottery and statues that have been recovered. 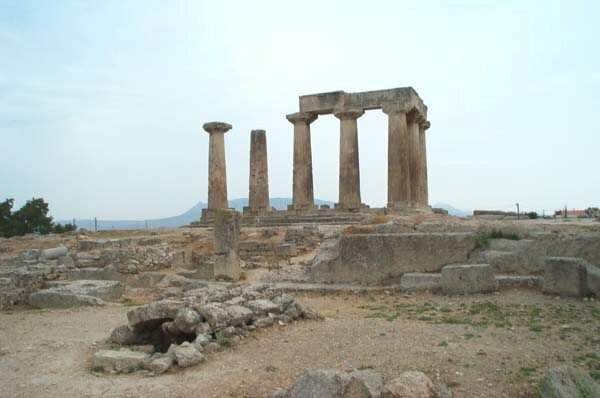 These columns are the remains of the Temple in Corinth. 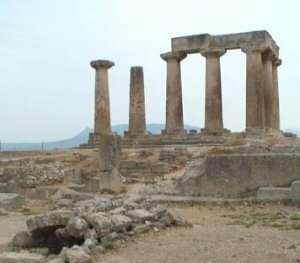 The temple was built about 600 B.C. The city was destroyed in 146 B.C. so these are the oldest ruins in the area. The other ruins you see when you visit are the remains of structures built by the Romans. 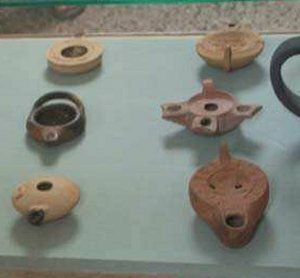 This pottery was found among the ruins at Corinth and is on display at the museum there. 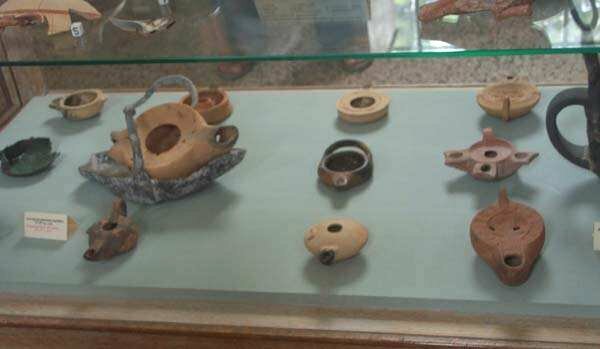 Ancient oil lamps found at the Corinth site. 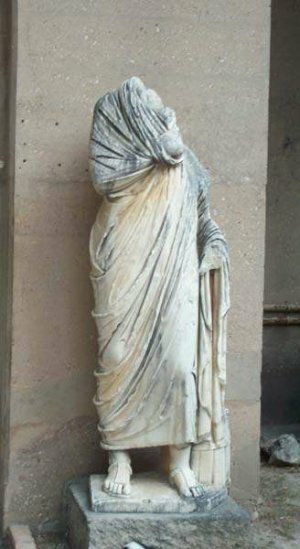 One of many statues recovered at Corinth. 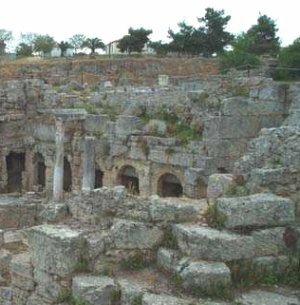 The people of Corinth were a corrupt people; thinking evil thoughts and doing evil things every day. Society today has become corrupt and it is hard to get away from evil influences. Books, magazines, television, and suggestive music encourage young people to lower their standards and accept an immoral way of life. Guard your heart by being discriminating in what you watch, read, and listen to. Once these evil things are in your heart Satan will use them against you. It is hard to remove their influence. Listen to your parents as they try to guide you in the right way. I am so much thankful to you for your wonderful and priceless effort through this website.... it is so helpful in our Sunday school teaching. This page displayed 50,780 times.